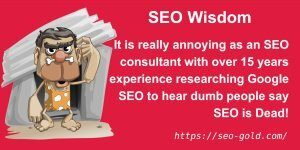 It is really annoying as an SEO consultant with over 15 years experience researching Google SEO to hear dumb people say SEO is Dead! 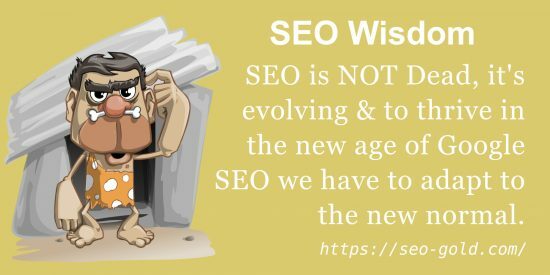 SEO means Search Engine Optimisation, if SEO were dead it means NOTHING a webmaster does on or off a site has ANY impact on Google Search Engine Rankings. 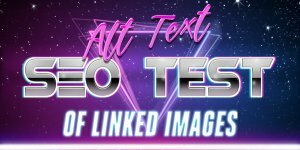 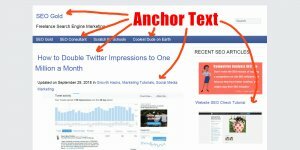 Are people really so stupid to believe the content on a site like a web pages title tag, the backlinks to a site and anything else that highly experienced and skilled people (like me) have researched, tested and confirmed over and over again has a ranking impact, just stopped working and was replaced by??? 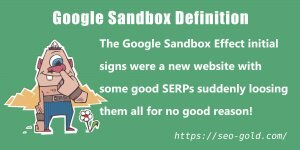 Seriously, does this mean Google randomly assigns where it sends search engine visitors now? 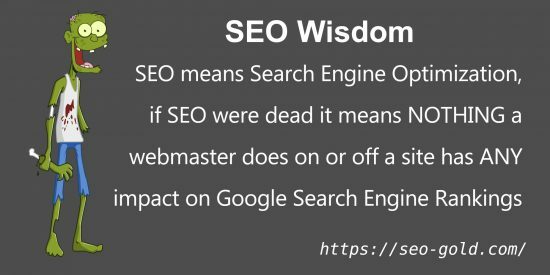 Maybe Google became a deity a few years back and to gain organic traffic from Google we need to pray to a random Google SEO LOGO! 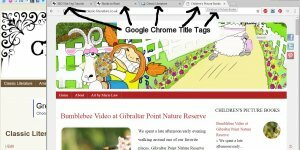 Consider the number of things people have said are dead. 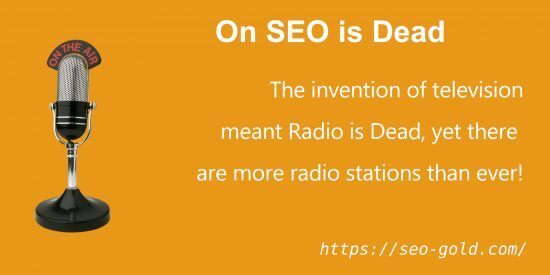 The invention of television meant Radio is Dead, and yet there are more radio stations than ever. 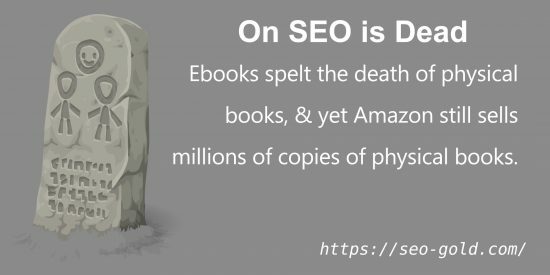 Ebooks spelt the death of physical books, and yet Amazon still sells millions of copies of physical books. 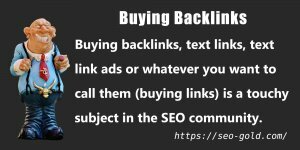 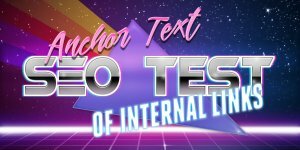 What the doomsayers are reacting to is an evolution in Search Engine Optimisation, where it pretty much used to be all about the content and the backlinks (and associated anchor text) to rank in Google, in 2018 there’s hundreds of Google ranking factors and no one SEO factor is king. 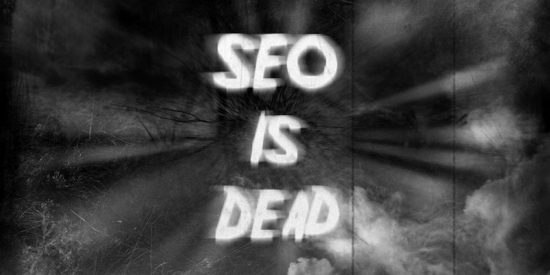 SEO is NOT Dead, it’s evolving and to thrive in the new age of Google SEO we have to adapt to the new normal.